Pivot doors are making an impact in the architectural arena that is changing the way that designers look at structural egress. 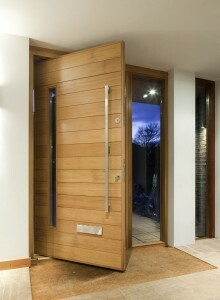 The pivot door makes a huge impression, especially if it is an enormous door. 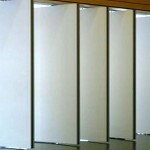 The trend is increasingly promoting the bigger and better oversized pivot doors that have been specified by the architect. To make the best first impression, start with a huge custom pivot door and select a style that will showcase the rest of the structure or facility. 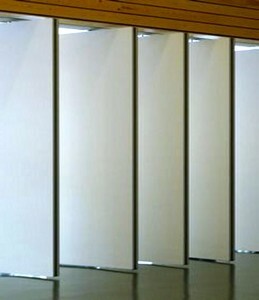 Large pivot doors pose several problems associated with size. 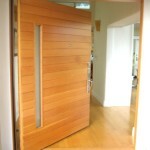 The biggest issue to deal with is that of the weight of the big pivot door. 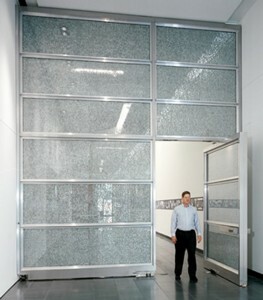 In most cases, if it’s a big pivot door it’s going to be heavy. 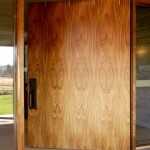 Creating a lighter weight door is the answer; normally this would be accomplished by using a lightweight honeycomb core. The problem with using a traditional honeycomb core as your pivot door core is that though it is lightweight, there is no structural integrity and your door will warp, bend, twist of otherwise fail. Start at the heart by specifying Sing Core as your pivot door core substrate. This patented torsion box and rigid foam composite is a solid structure that is responsible for changing the way designers and architects perform their visionary work. 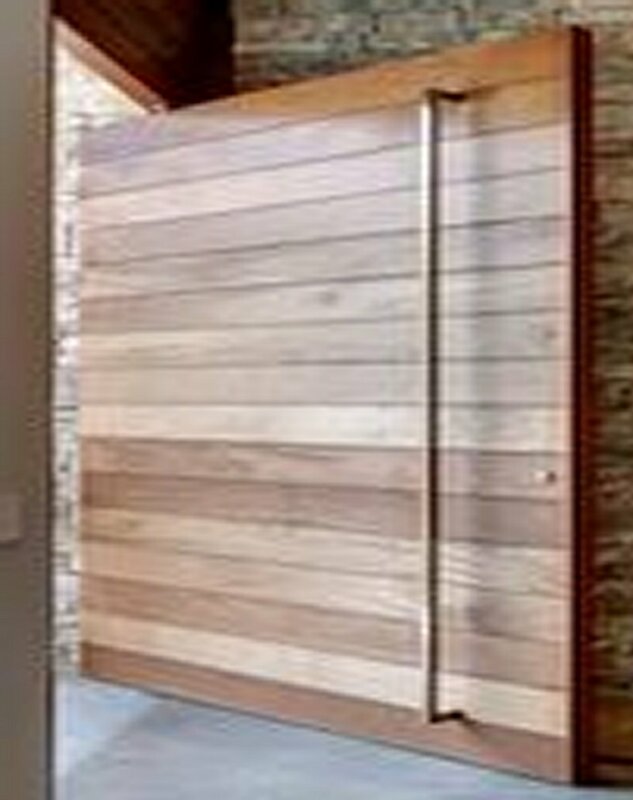 Next up; determine the surface material that you desire to use in your large pivot door. Once you’ve started with sing Core, you add any available flat building material and achieve a non-warping pivot door creation thank to the torsion box composite core. 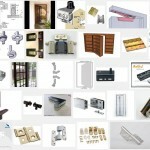 In fact, you can specify any building material to achieve the results you want. Even a solid wood stave will not warp, bend or twist thanks to Sing’s premium pivot door solution that is backed up with his guarantee that your large pivot door will not warp, bend, twist or otherwise fail for 50 years. 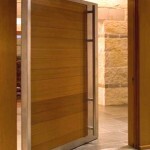 The wood pivot door presents the biggest challenge in pivot door design due to the nature of the solid wood itself. Its compassionate nature lend to warping due to being sympathetic to moisture and temperature changes in its environmental surroundings. 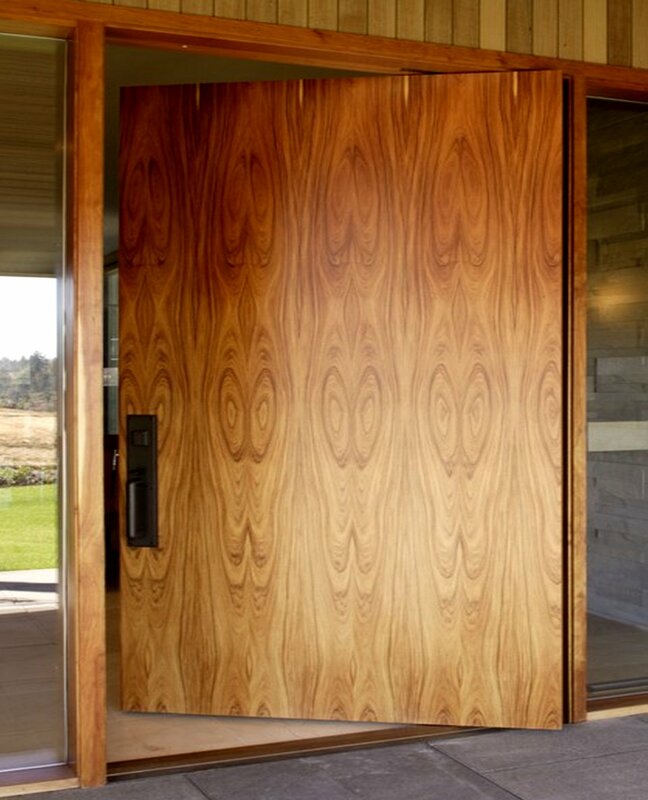 Thanks to Sing Core, you can have a large wood pivot door of any size that will not warp or fail while enjoying the beauty of your elegant wood pivot door. 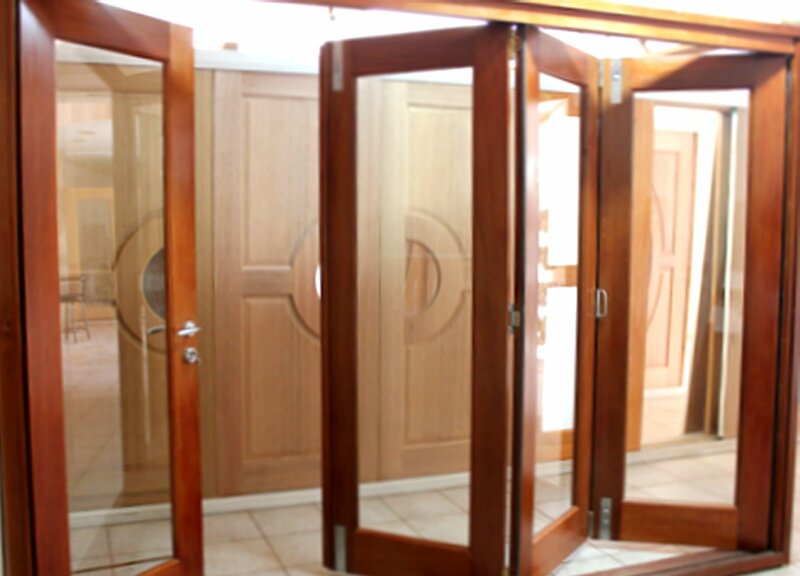 Wood pivot doors can be enjoyed with flawless operation for centuries if done right, with Sing pivot door technology as the basis of your premium wood pivot door, you can have a 50 year no fail guarantee which is unmatched in the wood pivot door marketplace. Now that you have your premium true flat pivot door, you will notice that it weighs a fraction of other doors, which means you can save time and money on expensive heavy duty pivot hinge, because the hardware is determined by the weight of the door. Now, you can enjoy a better bottom line in your expenditures, plus less maintenance on the pivot doors hardware because the pivot hinge doors is highly efficient. 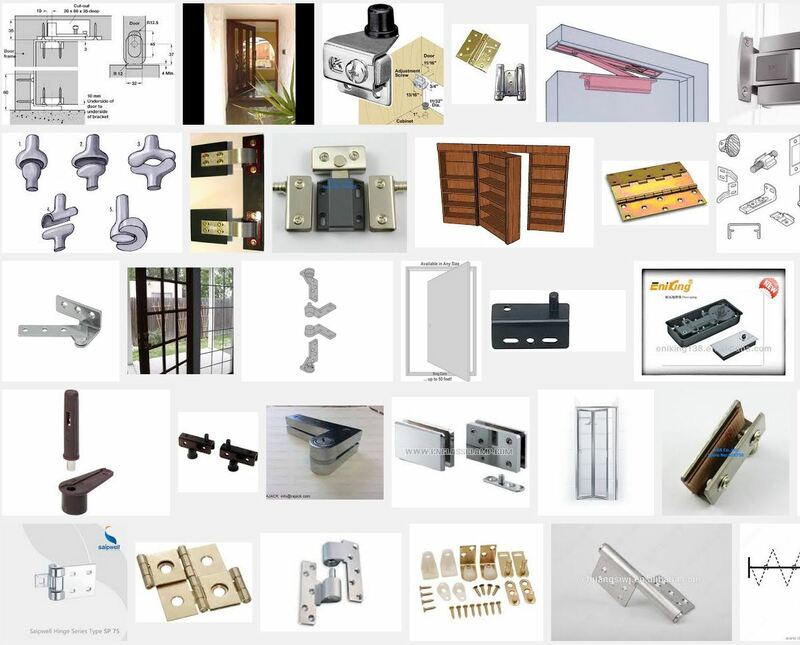 Having the right pivot hardware to match your large pivot door is primary for smooth fail free operation of your large pivot door. 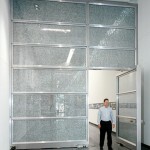 Besides being some of the heaviest pivot doors, traditional steel pivot doors also have other challenges. 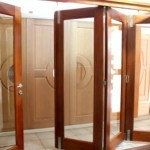 For instance as they are welded, the welding process causes the door to be compromised in terms of overall precision. Sing Core is extremely high precision (tolerance within +/- .006) and since they don’t use any welding in their door blank manufacturing process, the resulting steel pivot doors are perfectly flat and have a structural integrity that is stronger than steel (660 PSI) pound for pound. Architects may specify any type of steel to be used in creating their architectural pivot door masterpiece, such as cold rolled steel, galvanized steel, hot rolled steel or stainless steel pivot doors. 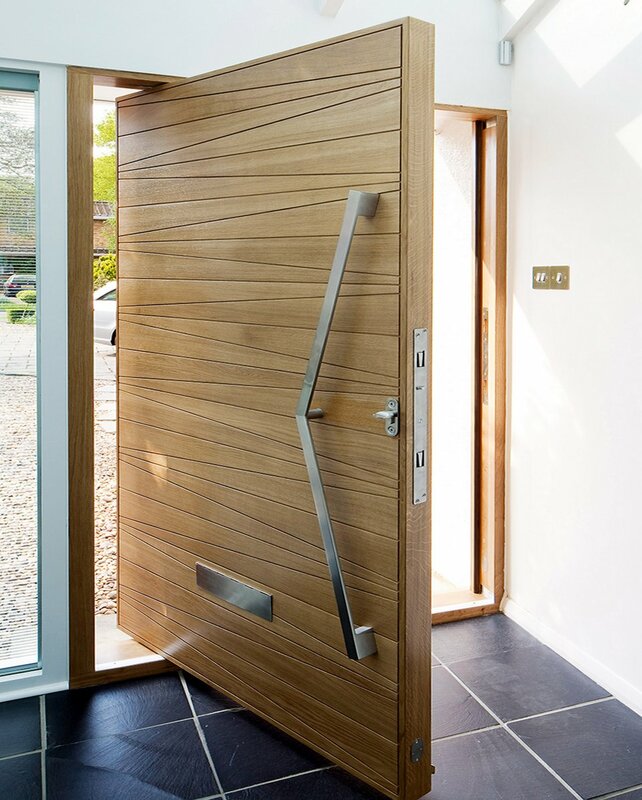 Any other type of metal can be specified for your metal pivot doors to achieve the results that you desire, including copper or aluminum pivot doors. Inside the home (usually high end homes over 1 million dollars), gallery, museum, business or office your large pivot doors to deliver the best first impression, but only if they work. 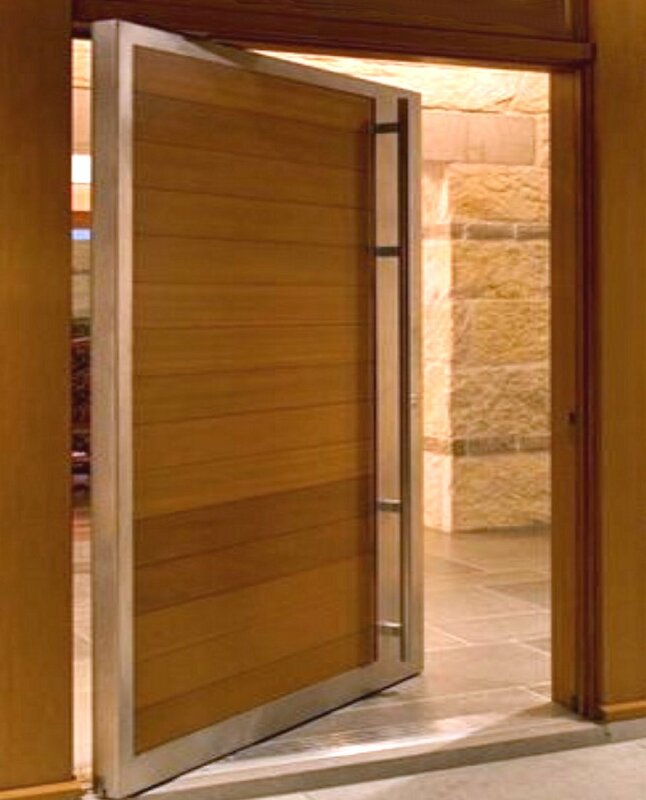 Make sure you’re dealing with pivot door specialists who will install your pivot door; they will have the expertise that can deliver a high degree of satisfaction, especially if they are using Sing Core as the pivoting door substrate material. The most impressive pivoting doors are found as main entry pivot doors, when exposed to wind, rain and temperature change, the elements can cause an otherwise beautiful pivoting front door to be compromised due to pivot door warp. Again, using Sing Core pivot door substrate can allow the designer to design an architectural pivoting door for external use without failure, regardless of door size. 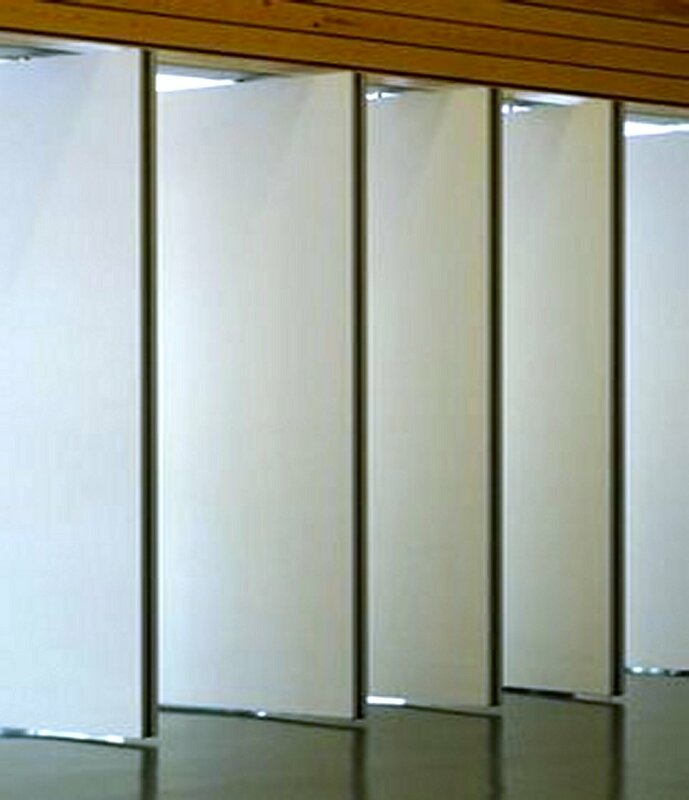 Taking custom pivot doors to the next level, top architects and designers are beginning to specify pivot sliding doors that both pivot and slide. 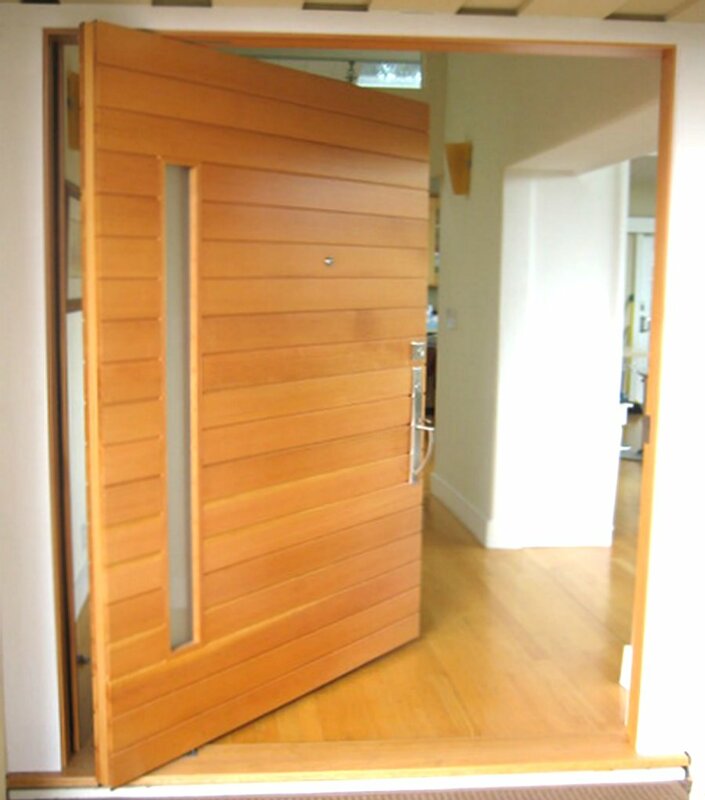 This is optimally designed for a large door opening that can be shared by a series of pivoting doors. With the pivot doors in the open position, you can enjoy a nearly unobstructed view, while the sliding pivot doors can be pushed to stack flat against the wall in semi-accordion style. 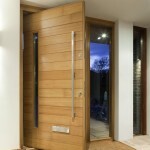 Sliding pivot doors are definitely changing the way we look at pivot doors.